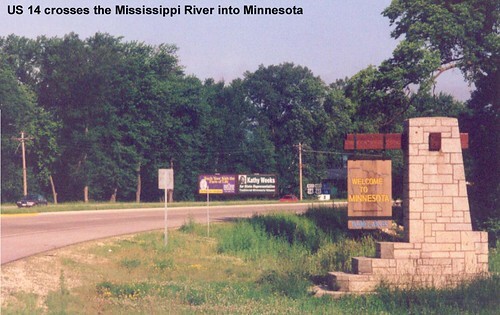 US 14 crosses the Mississippi River and arrives in Minnesota. 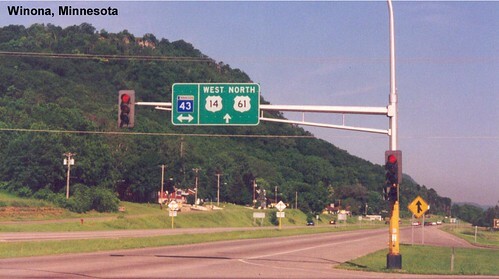 US 14 follows the Mississippi for a stretch before heading west. 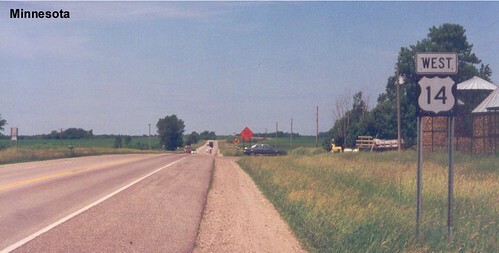 This section of US 14 is also called the Laura Ingalls Wilder Historical Highway. I saw the TV show as a little kid, so recognized some of the town names along the road. 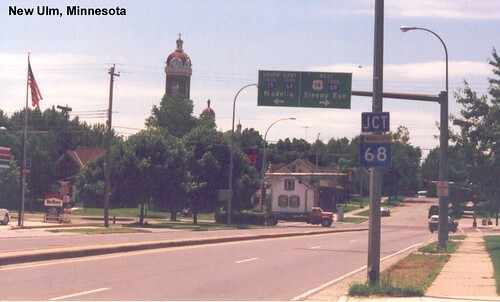 To borrow a phrase from Austin Powers though, isn't it interesting how southwestern Minnesota looks absolutely nothing like southern California.